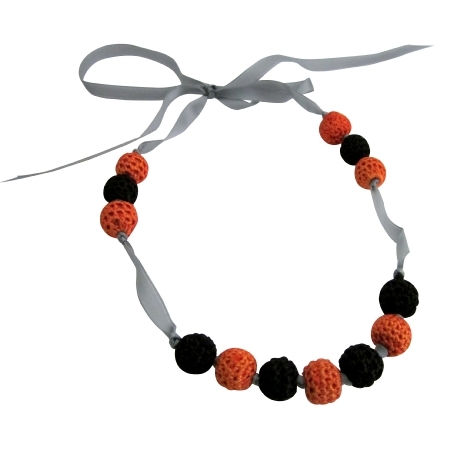 Bright & colorful black & orange croched bead children necklace It is simple & eco friendly & a perfect toy for your teething or breastfeeded baby. Helps your little one to develope its motor skills. The different surfaces feel great to touch then you are at the right place for this kind of jewelry. Prefect gift for baby showers & future moms.